There were moments of calm and reflection on what was supposed to be a very festive press conference Wednesday as the principals for Saturday night’s huge WBO 140-pound title fight passed on thoughts and prayers to the families of Vernon Forrest and Arturo Gatti, who both died tragically within 15 days of each other earlier this month. Timothy “Desert Storm’’ Bradley, Nate “The Galaxxy Warrior” Campbell and Forrest’s former promoter Gary Shaw each paid tribute to the two fallen fighters. Campbell wore a Vernon hat and Gatti shirt and spoke at length about his friendships with both. Shaw became emotional at one point and called for a moment of silence for Forrest at the beginning of the press conference held at The Show at Agua Caliente Casino. 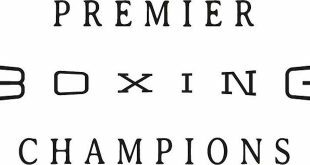 Four of the world’s top 140-pound fighters will go at it Saturday as WBO 140-pound champion Bradley (24-0, 11 KOs) of North Palm Springs, Calif., faces challenger and former unified lightweight belt-holder Campbell (33-5-1, 25 KOs ) live on Showtime at 9 p.m. ET/PT, delayed on the west coast. The Bradley-Campbell scheduled 12-rounder will follow a second 140-pound world title fight on Showtime Championship Boxing. In the first half of a world championship doubleheader, undefeated, No. 2-rated Devon Alexander “The Great’’ (18-0, 11 KOs) of St. Louis will face No. 3 Junior Witter (37-2-2, 22 KOs) of England for the World Boxing Council (WBC) strap that Bradley voluntarily relinquished. Timothy Bradley: “I want to dedicate this fight to Vernon Forrest. He was a very sincere guy, a very nice guy, just a really good guy. When I heard he was murdered I was blown away. He’s a good dude, a great fighter and a great champion. “Campbell and his crew can talk all they want but words don’t mean nothing. 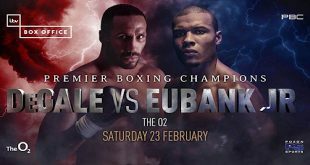 Come Saturday night, the boxing will do the talking. He’s a pit bull; I’m a pit bull and we’ll do it Saturday night. See, I’m ready and he says he has seen it all. He thinks he’s seen this but he hasn’t seen the youth, the speed that I bring. He hasn’t seen nothing like me. “I’m ready, I trained hard. Nate hasn’t seen the speed that I possess. Come Saturday, you’ll see who is champ and that’s me, Timothy Bradley. Nate Campbell: “I’ve heard all the bad Campbell soup jokes Tim’s been telling and they don’t phase me. 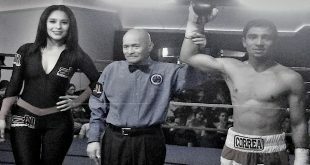 I’ve fought the baddest fighters and won and then kept fighting the next one they threw in front of me and won. I am not afraid and I don’t run. “I love that the other guy across the ring doubts me. I love that his team doubts me and the fans doubt me. I will prove them all wrong. “Anger is what drives me everyday. I was a foster child and didn’t have the stability most children have; I attended over 15 schools. I had to pull myself up by my boot straps. That’s how I know I will persevere this challenge and be the champion. “Very young, I decided that I was going to give boxing my all. It’s me and it’s who I am. I don’t want the fight to end early. I’ll give him hell as long as he can take it. “I am very comfortable at 140 – it’s a more normal weight for me. In fact, I’m only just a pound over that now. Devon Alexander: “I’m ready. I come 110%. We work hard. There ain’t nothing Junior Witter can do to stop me from being champion. Kevin Cunningham, Alexander’s trainer: “We’re here. We hear a lot of comments about Devon being too young or not ready but you’ll see Saturday why he is called “The Great”. [To Witter] "It was a long flight here from the UK and let me tell you, it will be an even longer flight back after Devon ’s beats you Saturday night". 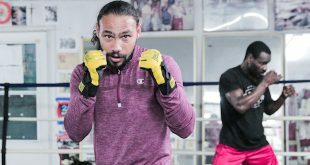 The biggest boxing event in the history of The Coachella Valley in Southern California will emanate from The Show at Agua Caliente Casino in Rancho Mirage, Calif. It will be promoted by Gary Shaw Productions and Thompson Boxing Promotions in association with Don King Productions and Agua Caliente Casino. Tickets are available for purchase online at www.HotWaterCasino.com/TheShow or by calling (800) 585-3737. Next Al Bernstein On Boxing: Now You Think Of It?